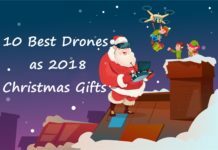 If you are looking to grab some high-end drones this Black Friday but don’t know where to start, our comprehensive guide will help you put light on some of the amazing drones available on the market. 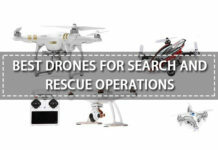 We have picked these drones after a thorough research. Go through the list and see if you find the best ones. 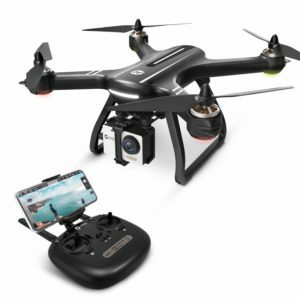 If you are looking for a drone that you can take anywhere, then Hover Camera Passport Drone is worth looking at because it not only fits right under your budget but is also the hottest drone on the market considering the Black Friday sales. 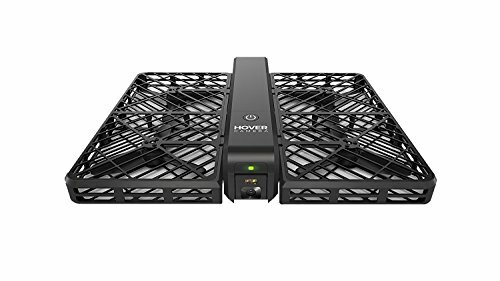 Hover Camera Passport Drone is your best choice if you want something that takes quick selfies. What makes this drone stand out is its unique cage design. 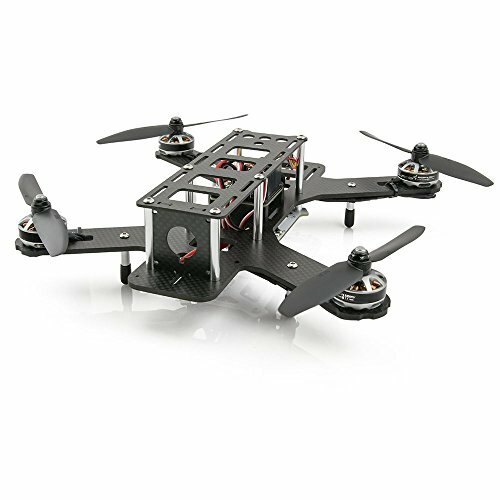 The compact cage design ensures all the four propellers are safeguarded, making the drone compatible for indoor flying. Apart from the compact cage design, what’s equally nice is the drone’s folding design. When you are not flying the drone, you can fold the drone into a small rectangle that easily fits into any case or bag. As said, it has one of the most brilliant, never seen before designs. It folds like a book, or as at the name suggests a passport. There is slender ‘spine’ that stocks the drone’s electronics and circuits. The propellers under the spine swing out like pages. When closed, it looks like a VHS tape that’s only 1.3 inches tall. Moreover, it only weighs 242 grams. 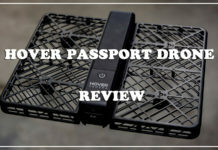 Hover Camera Passport Drone is very approachable and fun to use. It has a top speed of 17 mph in manual mode, so if you are looking for high-end performance flight, you may be disappointed. 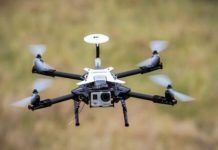 This drone was specifically designed to function as a flying camera robot so the flight performance, range, and autonomy isn’t truly a decidable factor when it comes to Hover Camera Passport Drone. This drone is designed to stay close to the users and follow them wherever they go. 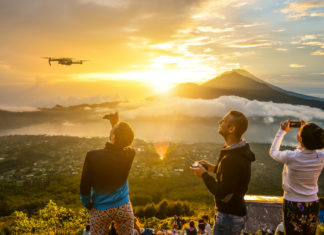 The drone focuses on flying itself and is touted as an autonomous selfie camera. It can shoot 720p, 1080p, and 4K videos and photos. The Hover Camera Passport Drone can stay up and fly for about 9-10 minutes. It takes around 47 minutes to completely charge. Lumenier QAV250 racing drone is definitely not for the beginners due to its advanced features. 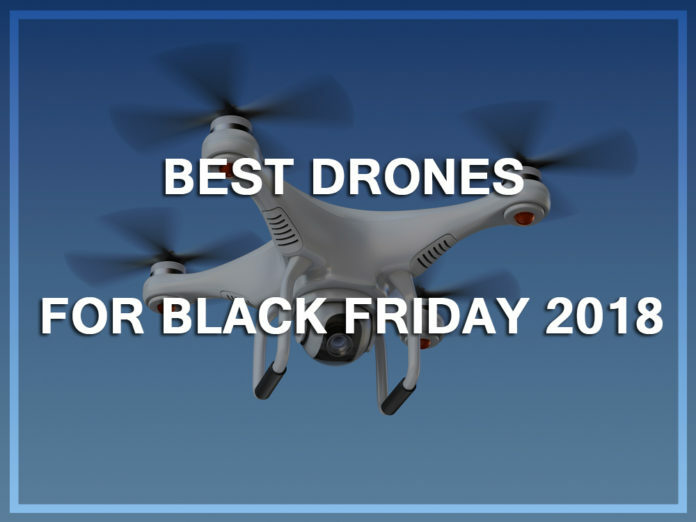 It is a popular racing drone and one of the best to avail during the Black Friday sales. 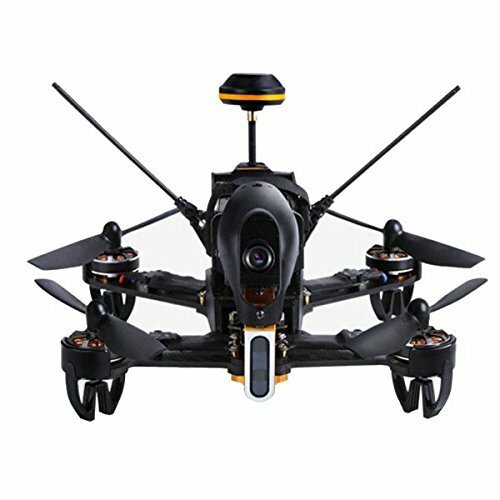 This is the best racing drone you can avail under $500 for certain factors that include a simple design, excellent stock configuration, and highly flexible, meaning you can customize Lumenier QAV250 as per your requirements and according to the racing regulations. With that said, you can easily swap parts for a better, newer gear. However, this drone doesn’t have the most aesthetically pleasing design, it looks more like a test drone used in laboratories and experiments. But don’t let the looks deceive you, it is extremely good at what it does, RACING. If we go by the design, Lumenier QAV250 has something different from other drones. This drone will give you an adventurous experience of building an aircraft with flight fun. It is designed to house five propellers and based on your flying experiences; you can pick and assemble parts depending on what you want to fly and how. As the Lumenier QAV250 drone is completely customizable, you can select accessories based on the functions you want to achieve with this drone, like high speed, flips, and other stunts, capturing quality videos and pictures, to be used for longer flight range, and more. As it is composed of carbon fiber, it reduces the overall weight of the drone thereby enhancing the performance. The camera quality depends on the type of camera you are using. However, it comes with 32mm board cams that support HD cameras like Mobius and other action cameras. The 1300mAh 3s lipo battery gives this drone the maximum flight time of 7-9 minutes. It usually takes 50-55 minutes to completely charge. 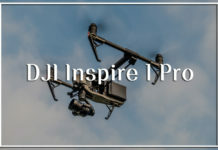 3DR Solo Quadcopter Drone is a high-end camera UAV that allows capturing state-of-the-art pictures and video; hence, perfect for videographers and filmographers. Its build quality, fit, and finish is incredible and the matte finish look gives this drone an ergonomic design. All of its four arms boast colored LED lights that give a proper visual orientation to the users. 3DR Solo Quadcopter Drone comes with a controller that serves as a communication medium between your smartphone and drone. 3DR Solo Quadcopter has been specifically designed for aerial photography enthusiasts. Its design is quite simple and every single component of the drone is made from the durable plastic material. Its propellers are self-tightening that ensures safer and smoother flight. On the other hand, for offering protection against hard landings, the drone’s arms are quite rigid. 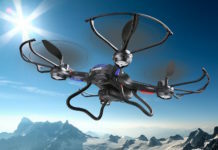 In total, it is lightweight and durable, making it easy to fly and control when airborne. 3DR Solo Quadcopter comes with an array of pre-programmed flight modes. The primary flight modes are aerial photography related. 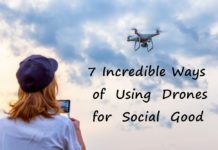 That is, the Follow Mode makes the drone follow you, the Orbit Mode makes the drone circle the controller while keeping the camera focus on you, the Cable Cam Mode makes the drone fly from one point to another implying that the camera is mounted on a cable, and the Selfie Mode makes the drone fly towards you for dramatic looking shots. 3DR Solo Quadcopter doesn’t boast a camera but can carry high-end action cameras (GoPro- recommended). It comes equipped with Go-Pro camera integration. After an hour of charging, 3DR Solo Quadcopter can take flight up to 20 minutes. 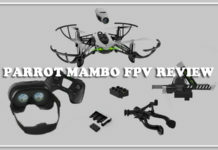 When it comes to the most inexpensive lines of miniature drones, Parrot Mambo FPV Quadcopter is one name that you will find the most interesting. However, it is not your average mini-drone as it comes equipped with mini-cannon accessories allowing you to open your flight with more. 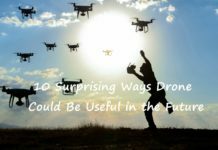 It is particularly expensive as compared to the standard mini-drones out there but the accessories it comes with ensures that the fun will last much longer. This drone is compatible with taking flight both indoors and outdoors thanks to its compact design. Parrot Mambo FPV Quadcopter is seriously small and lightweight. It looks like a robot from those Hollywood sci-fi movies. The green LED eyes pop out lurking at you. And did we forgot to mention that it is a drone that can shoot darts? As said, there are a plethora of components that you can accessorize the drone with, thanks to its flexible design and build quality. It is composed of high-quality plastic material include the propellers. The blades may seem fragile and may bend as well when crashed. But you can bend the propellers back into shape. Parrot Mambo FPV Quadcopter is a pleasure to use. 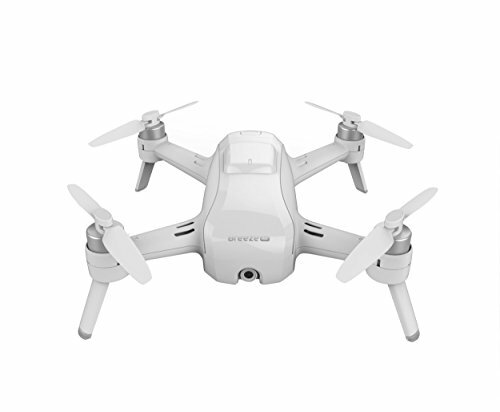 The drone comes with three different flight modes – easy mode, drift mode, and racing mode. The easy mode is for beginners who are learning the art of drone flying, where the drone is stabilized both vertically and horizontally. The drift mode gives you a greater control over its FPV settings where the horizontal stability if turned off. The racing mode gives you complete control over the drone. It comes with a tiny HD camera that can shoot 720p resolution videos. However, this drone is not meant for aerial photography. Battery life, to be honest, is an issue with Parrot Mambo FPV Quadcopter with only 8 minutes of total flight time once completely charged. It takes 35-40 minutes to completely charge. 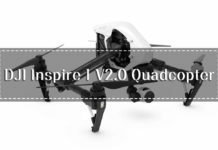 As you m1q1r44ay know, the quadcopters under this brand are specifically designed keeping in mind aerial photography. Yuneec Breeze Quadcopter comes with a stunning 4K 13 MP video recording capability that allows you to capture some amazing pictures and shoot some incredible videos from the air. 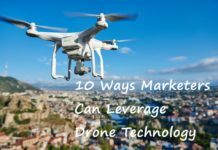 Keeping in mind the beginners, the manufacturers have eased down the drone’s media capture process by introducing several modes. 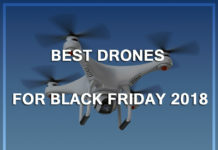 Yuneec Breeze Quadcopter is probably going to be the hot seller during this year’s Black Friday sale. The Yuneec Breeze Quadcopter is made entirely of hard-quality plastic material. This, at first, may seem money invested in the wrong place because its plastic certainly feels brittle, that is; one hard smack on the tree or a wall would cause the frame to fracture. However, this is not the case, no matter how brittle it feels, the drone is extremely durable. The cleverly designed hinged propellers ensure that it resist crash as much as possible. Yuneec Breeze Quadcopter can achieve the maximum speed of 11 mph with a maximum range of 100 meters, providing that it is a bit limited when it comes to flight performance. It doesn’t come with a controller so you have to pilot the drone via your Android or iOS smartphone. The flight modes include Journey, Follow ME, Orbit, Pilot, and Selfie. Yuneec Breeze Quadcopter is marketed as a selfie drone thanks to its high-functional camera. Its camera has a maximum resolution of 4K at 30 fps, but you can also shoot in 1080p and 720p modes as well. However, one thing that may frustrate the user is that the camera is not mechanically stabilized. With a full battery, the Yuneec Breeze Quadcopter can last 10-11 minutes in the air. It will take around 50 minutes to completely charge the battery. A 4K camera drone that too under $500 is like a dream come true. But your dream has actually come true with UPair One Plus WiFi FPV Drone. This mid-range drone promises to be a really good quadcopter for aerial photography. 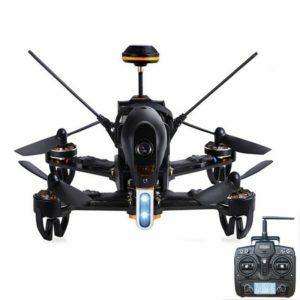 The primary factor that will make you love this drone, even more, is its large LED screen controller. It looks like a portable console and adjusts comfortably in the hands. 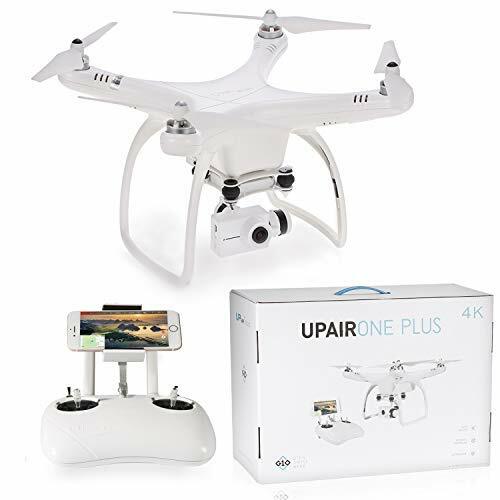 UPair One Plus WiFi FPV Drone come ready-to-fly and you will not have to assemble the gimbal or attach the camera. 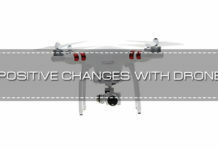 Its design and build look somewhat similar to that of DJI Phantom. It is made of good quality plastic material that ensures it remains intact even after hard crashes. Its landing arms are bit shaky but manage to provide protection when sudden battery drainage. 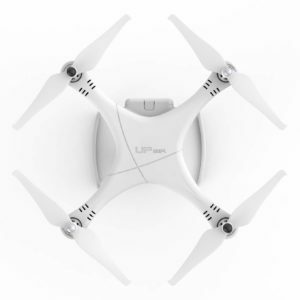 UPair One Plus WiFi FPV Drone boasts features and functionalities similar to Phantom 3. 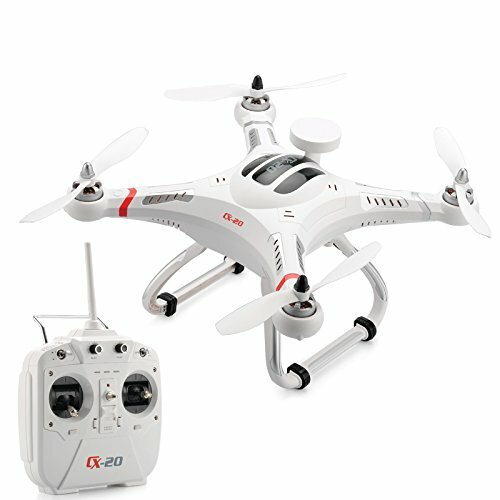 It has different flight modes to accommodate your different aerial photography needs. The built-in GPS, auto takeoff and landing ensures easy operation and navigation. 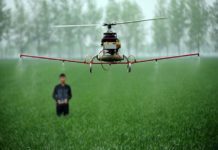 It offers the maximum flight range of 800 meters. The UPair One Plus WiFi FPV Drone comes with a 4K enabled camera that also works in FPV mode. With features like position hold and altitude hold, you can take pictures and capture videos from different angles. It offers the maximum flight time of 18 minutes upon 55 minutes of charging. If you ask what is the cheapest way to get a camera in the air, we would say Force1 F100 Ghost GoPro-Compatible Quadcopter. 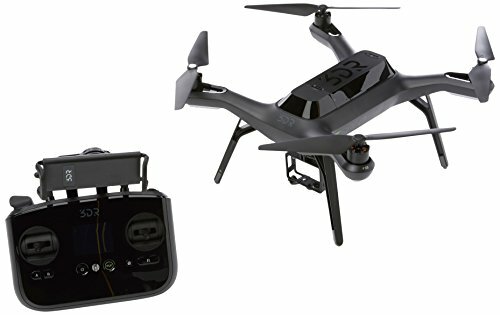 Those who own a GoPro, this is an introductory quadcopter, that is essentially cheap, that will house all your aerial photography requirements. It is an ideal drone that comes with combined GoPro configuration. This makes it best suitable for those interested in aerial filmography. 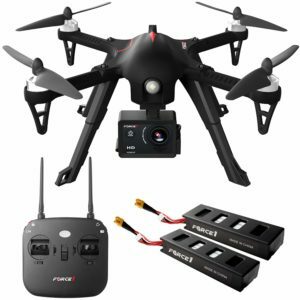 It boasts brushless motors and quiet low and high-speed settings that make aerial photography and videography hassle-free. Its design and build stand out from other drone models of the same price range. 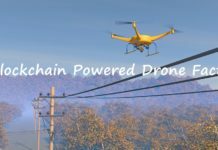 The complete drone is made of high-quality materials and is safeguarded using propeller guards. Its ergonomic design is capable for 360° stunts including flips. Force1 F100 Ghost GoPro-Compatible Quadcopter has a modular landing gear in case if you include a GoPro. 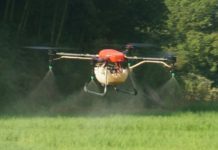 The brushless motors ensure that the drone doesn’t produce the sound of a lawnmower when airborne. The intuitive controls and flight modes make it possible for the user to perform different stunts with this drone. Moreover, it has a maximum flight range of 500 meters, which is enough for aerial photography. It doesn’t include a camera but is GoPro compatible. The drone can support 1080p HD camera settings. The Force1 F100 Ghost GoPro-Compatible Quadcopter includes two 1800 mAh LiPo batteries that give it the maximum flight time of 15 minutes. However, it takes at least two hours to completely charge the batteries. This is the second racing drone in our list. Walkera F210 Quadcopter is an exceptional drone designed for racing enthusiasts. It sports a cash-proof and robust design that makes it suitable for your sporting needs and adventures. Its motors are extremely powerful thereby offering fast yet reliable flight performance. 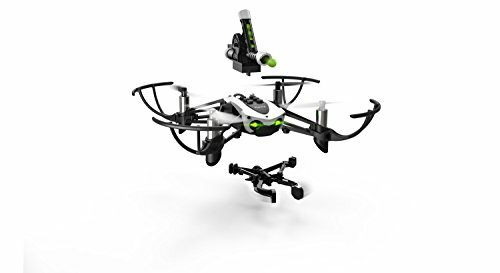 Walkera F210 Quadcopter comes with several different flight modes. You can perform impressive stunts as well. All in all, it is a competitive model with an outstanding battery life. The construction of Walkera F210 Quadcopter consists of a special airframe that looks modular and makes everything plug-and-play. Moreover, there is no need to connect wires to the main circuit board as its slotted pin system directly connects to the main power board. The entire frame is composed of carbon fiber, which makes it lightweight yet durable, excellent for drone racing. On the other hand, its front portion is made from aluminum that prevents the drone from falling apart after a collision. Walkera F210 Quadcopter comes with an F3 flight controller that allows you to operate your drone more easily. Moreover, it comes with a CloveLead 5.8G Mushroom Antenna for video transmission. The maximum rage it can travel is 800 meters and if operated in full throttle, it can reach the maximum speed of 80 kmh. The drone features an HD camera that uses 120° super-vision lenses for providing a broad field of view. It has multiple recording modes that you can use as per your flying style. The 4S type 1300 mAh battery gives Walkera F210 Quadcopter a maximum flight time of 10 minutes. It can take around 45-55 minutes to completely charge the battery. 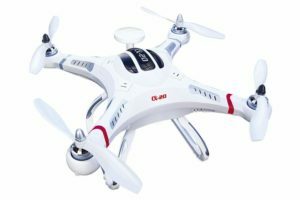 Cheerson CX-20 Quadcopter looks like a professional drone with its sleek, beautiful, and versatile design. This is another drone that is predicted to go high up in sales this Black Friday. This drone boasts simple controls, decent flight time, and has a good range. However, it doesn’t come with a camera but it includes a mount that is compatible with the GoPro camera. Cheerson CX-20 Quadcopter is composed of ABS plastic, which is lightweight and gives the drone a good degree of durability. The high-quality landing gears make even hard touchdowns simple and bearable for the drone. The ergonomic design offers stability and there are high-intensity LED lights mounted to help you guide the drone’s orientation. Cheerson CX-20 Quadcopter has smooth sideward, backward, and forward transitions. This makes it fly well even when the weather is not supportive. It is a responsive drone but does not have a high top speed. The maximum acceleration it offers is 22 mph, which is decent with a maximum range of 300 meters. It doesn’t include a camera but supports GoPro camera with 1080p HD settings. The battery takes about 120 minutes to charge and provide 15 minutes of total flight time. 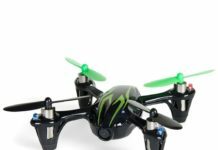 Holy Stone HS700 Quadcopter brings several new features to the table. It is equipped with brushless motors, which makes it aerodynamic and lightweight. 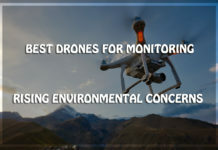 It makes lower noise as compared to other drones incorporates intelligent functions like realizing custom trajectory flying, One-touch return to home, and more. Moreover, it includes a professional 1080p FHD wide-angle camera that is capable of restoring real moments. Holy Stone HS700 Quadcopter boasts a portable design that can fit right into your backpack. The entire framework and body except the propellers are forged of high-quality plastic material. Its propellers are composed of metal. 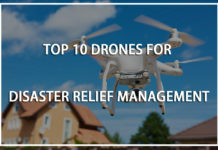 The unique design and material used ensure that the drone remains cash-proof even after experiencing crashes. Holy Stone HS700 Quadcopter offers the flight range of up to 400 meters thanks to its super powerful 2204 1500Kv brushless motors. This allows you to snap high-quality aerial footage. And when combined with several flight modes like Follow me and GPS, operating this drone becomes educational and a fun-filled activity. It has a 12 MP 1080P camera that produces FHD images at 1920×1080 resolution. And coupled with a 120° wide-angle lens, it can produce some quality videos. The 2800 mAh LiPo battery provides extended longevity. You can get the maximum flight time of 20 minutes after one hour of charging. The drones we included in our list are the best drones that will go up for sale with high expectations this Black Friday. 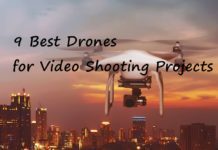 There are a few models that we have skipped, but you will not require reviewing them as the included are the best models under $500 that can fulfill your drone-flying dreams. Next articleImmersion RC Vortex 285 Review – Should You Buy It?